Why Didn’t I install Google Analytics Sooner? There is one very simple reason why I have taken so long to install better statistics on my blog – working out what to do when you first start blogging can be overwhelming! When I first set up this blog, I did google the topic which gave me lots of articles on all the different options I could use; including the advantages and disadvantages of each. But it was too much information. I just wanted to be shown – what to do, why to do and how to do it! Thankfully, Darren (Problogger) rescued me by making me dig into my blog’s statistics this week for Day 11 task for 31 Days to Build a Better Blog – and I have now installed Google Analytics. It does have lots of features that are initially overwhelming – so here is my quick guide to help you understand why you should use Google Analytics and how can use it to get information which will help you be more effective! WARNING – Google Analytics does provide much better statistics but it does takes 24 hours to display the statistics – so if I want to know what is happening on my site today I have to wait until tomorrow to check. Sitemeter displays the statistics in real time – if I have a sudden surge in traffic I know about it immediately. This lets you see an overview of what has been happening at your site over a period of time, and you can compare it with a previous date range. Google Analytics has so many options for you to look at – and different bloggers will be interested in different statistics depending of what they need to learn from their statistics. Take the time to check out each option – and drill down into specifics (e.g. referring sites, top content) – to start to get a feel for what it all means to you. 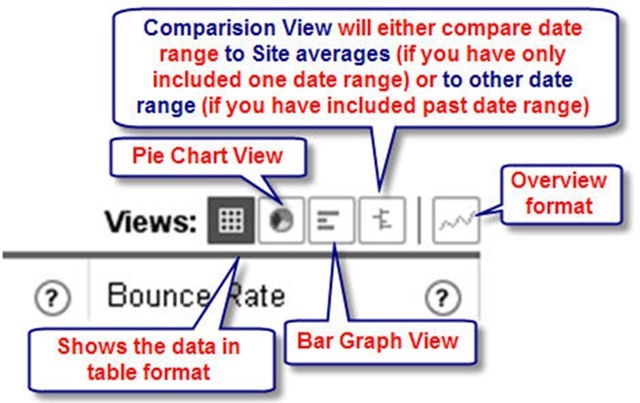 Make sure you view your data in different views – because you will learn different information from each view!!! 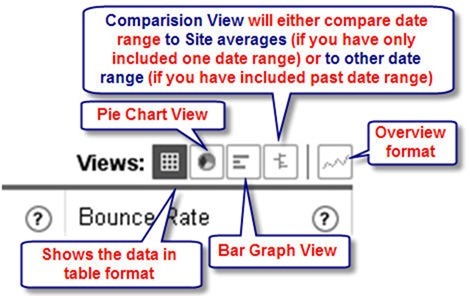 The option to change views is located about Bounce Rate. When you change to different views look out for the drop down boxes as they let you change the data type you are analysing! How visitors locates my sites is important because it tells me how much traffic is coming from this source, how interested visitors being referred from these sites are interested in the topics I write on and occasionally I also learn great information from the referring site. At the moment – twitter is my highest referring source – which is of no surprise to me as I believe twitter is moving blogging to a new phase! If I do not recognise the referring article I will often go and check it out. The following image shows how an article on Google Reader Blog is linking to my site – it was automatically inserted in their article because I linked to this article when I complained about SlideShares being removed in Google Reader. And people are actually following this link to my site ROFL. Remember to keep an eye on Top content – it will tell you what people like to read and what may be attracting them to your site. Interestingly enough my post on UMPCs has the highest traffic – probably because it is one of the first in depth posts written on their use in education. There is no way I can cover all the great information you can gain from using Google Analytics – there is just too much (apologies for the long post!). 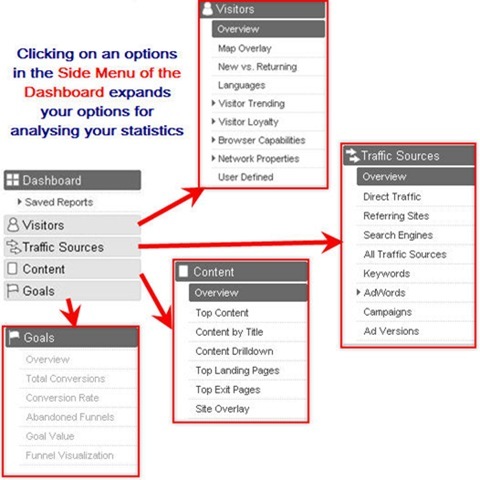 But I do recommend you watch Beth‘s video on Using Google Analytics! – she has some great tips (thanks to Michele for putting me onto this!). Pingback: » 31 Days to a Better Blog - Days 8 - 14 My Technology Addictions. Is Google Analytics better than Statcounter? 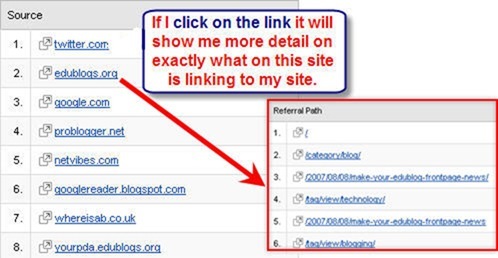 I tried to find a link on your blog entry to Google Analytics but I couldn’t find it anywhere. How does someone go about installing Google Analytics? Pingback: Mobile Technology in TAFE » Blog Archive » Do Busy Readers Dig Deeper Into Our Blogs? Thanks John – I’m glad you enjoyed the read and thanks for the support. @Vancouver Painting Glad my post was helpful. Hopefully it works well for you. Does Google Analytics offer much more than something like Firestats, other than the ability to set goals? I have both enabled on my site but usually just check Firestats. Hi Dave, I’ve not tried Firestats but most bloggers tend to use Google Analytics. I will check out firestats to see how diff it is.